FREE! First Class Shipping on ALL Orders!Give your man (or yourself!) something to wear that reminds him of your precious adopted child. 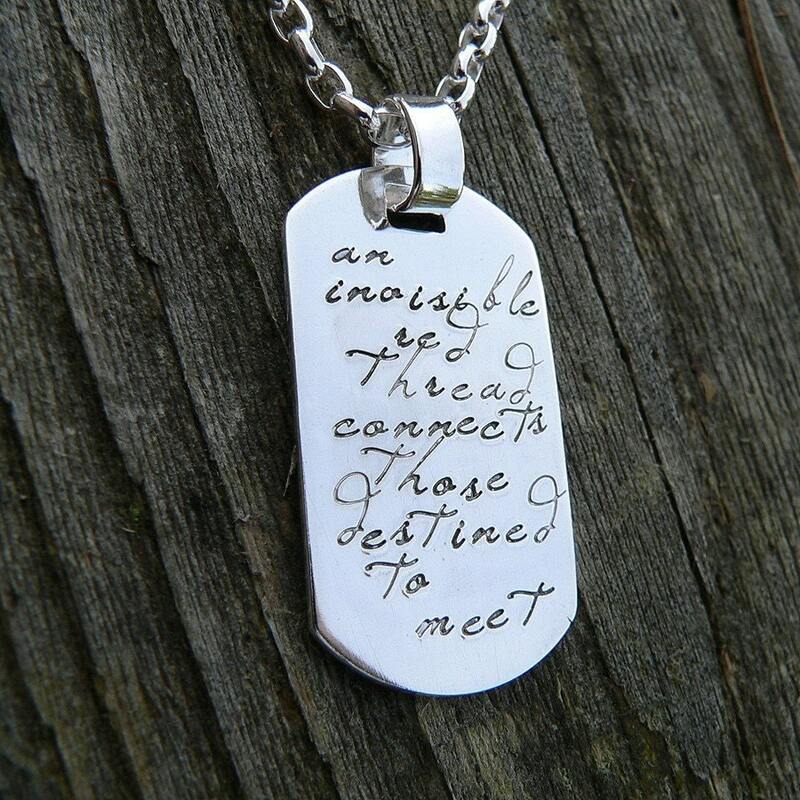 "An invisible red thread connects those destined to meet. 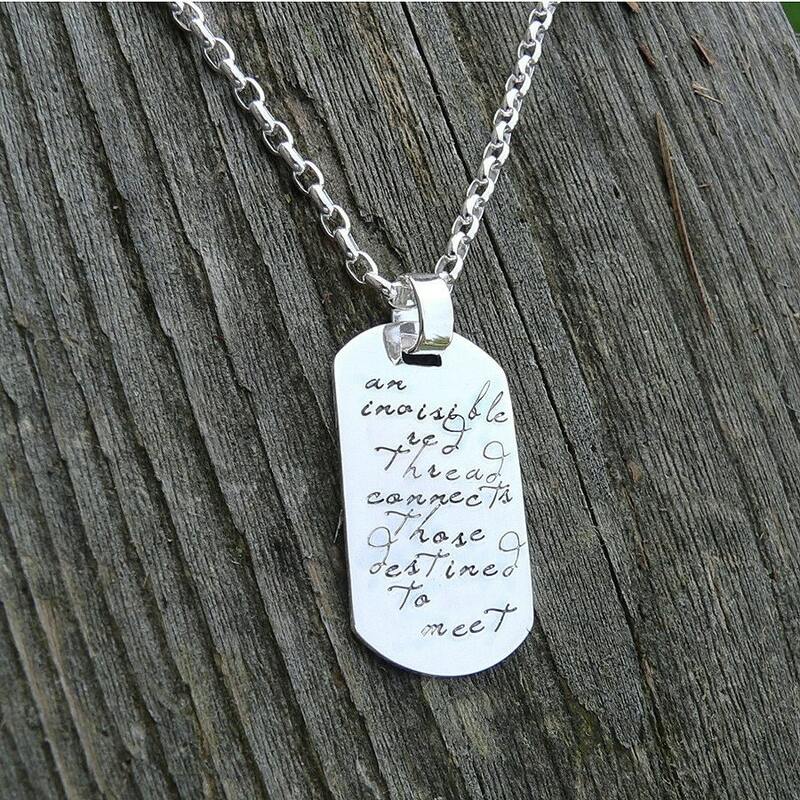 This beautiful saying is well known throughout the adoption community...and commemorated here on a hand-cut and stamped pendant of sterling silver with our beautiful Poetry font. 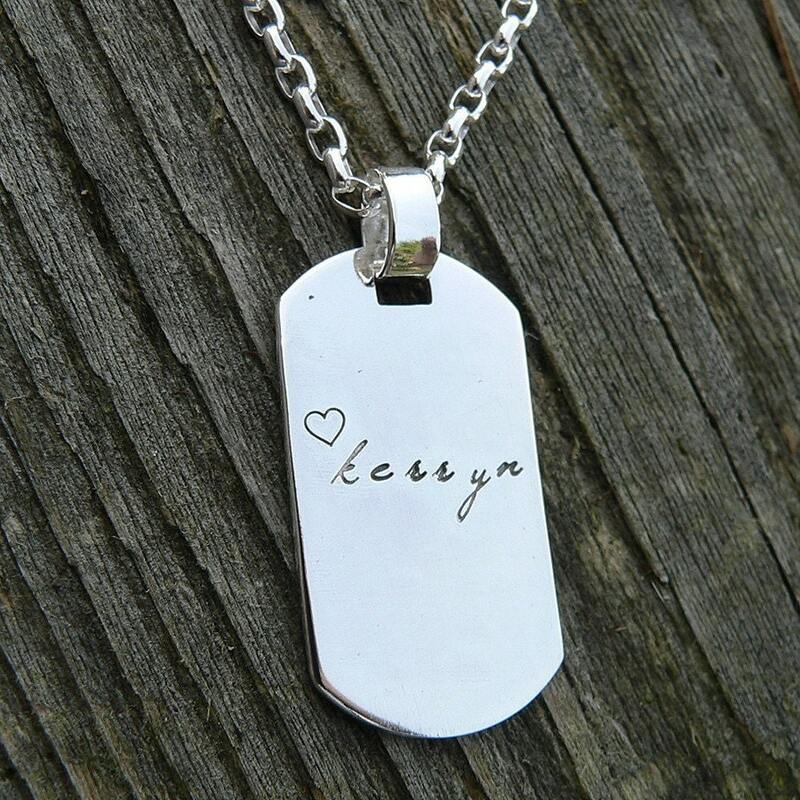 This thick solid sterling "dog tag" style necklace is built to last - from the wide sterling bail to the hand-finished construction of the necklace. The necklace itself is a thick silver elongated rolo chain - understated but quite masculine. The pendant is approximately 1-3/8" x 7/8".